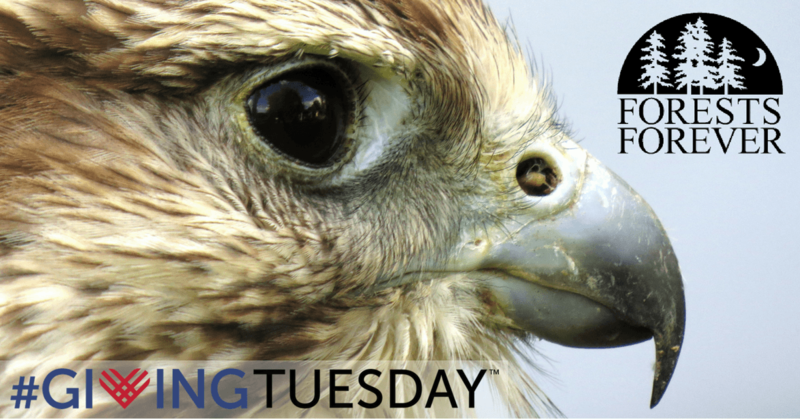 Its not too late to make your #GivingTuesday contribution! Thank you for being a friend to the forests of California. This holiday season our Forests Forever team gives thanks for many blessings in our lives. We give thanks for our precious and beautiful blue-green planet. We give thanks for clean and fresh water and air. We give thanks for our stunning and priceless forest heritage. And we give thanks to all our friends, members, and allies in the effort to protect and sustain the beauty and productivity of our California forestlands. It's not too late to join in with millions of Americans who make charitable giving a priority this holiday season. With your support we will continue to successfully organize and inspire Californians to speak out on behalf of the long-term health and vitality of our forests and the many values they provide. Thank you for your commitment, courage, and generosity as a California forest ally. Your gift today will help defend the forests and wildlife habitate of California.